In 2016, De Crescenzo was leading out her teammate in a sprint at the San Dimas Road Race when she crashed just before the finish line. It was immediately clear the crash was bad—De Crescenzo’s teammate Beth Ann Orton stopped racing to attend to her—and De Crescenzo ended up in the hospital with a traumatic brain injury fighting for her life. Cyclocross Magazine: How much gravel racing have you done during your career? Lauren De Crescenzo: I’ve ridden plenty of gravel on training rides, but not so much racing. Before Crusher I had only done three gravel races. Two of them were the Rouge Roubaix in Louisiana in 2015 and 2016. 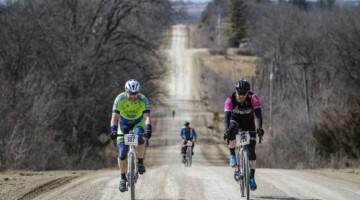 The Rouge Roubaix consists of 105 miles of chip seal, sandy gravel, asphalt and roads that are just bad. I won both years and was stoked. Earlier this year, I did Old Man Winter in Boulder. I was just getting back into shape and pedaled as hard as I could and won by 12 minutes. Then came Crusher. I guess you could say I’ve found my niche. At least that’s what my former coach tells me now. CXM: What brought you out for the Crusher? LDC: Crusher is in Utah, and I have a sweet spot in my heart for the state. My team, DNA Cycling, is based out of Salt Lake City, so I travel there often. I’ve been on the team for about five years now, so I’ve created a Utah family. Alex and Cathy Kim, who are the DNA Team Owners, are closely connected with Burke Swindlehurst and the Crusher (they work on photos and lead moto), so when I called them a few weeks before the race and asked if I could do Crusher, they were able to secure an entry. 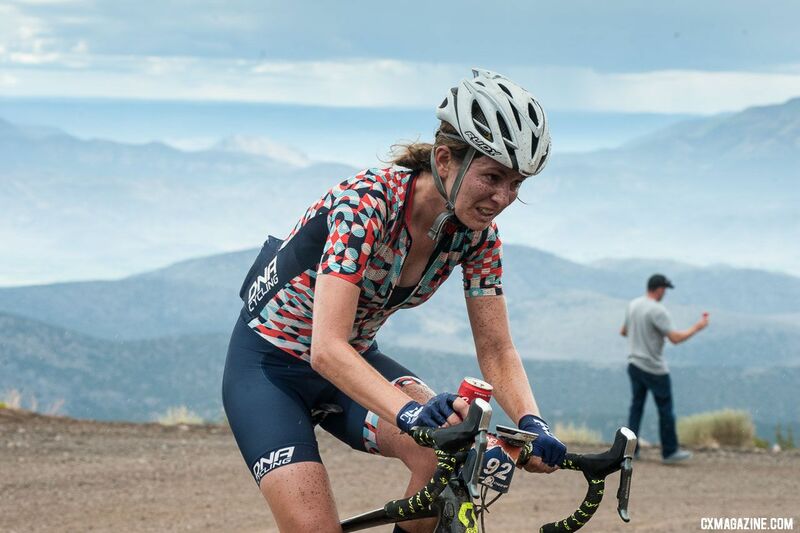 I had just gotten on a few podiums at Collegiate Road Nationals in Grand Junction and heard that Crusher was maybe the hardest thing I’d ever do in my life with 10,000+ ft of climbing maxing out at over 11,500 feet on gravel. What else could I ask for as a masochist of sorts. CXM: I read stories about your injury. How has this season been going for you? LDC: To give a brief background, in 2016, I was racing as a UCI pro for Visit Dallas DNA Pro Cycling. I crashed really hard at the 2016 San Dimas Stage Race leading out my teammate. By no means was this a normal crash. My teammate Beth Ann Orton, a Physician’s Assistant in real life, immediately stopped racing to come and clear my airways and stabilize my spine. I was then put on a helicopter and spent six days in an induced coma at a hospital in LA to stop the bleeding and swelling in my brain caused by my severe traumatic brain injury (TBI). After three weeks in the ICU, I was transferred to Craig Rehabilitation Center in Denver where I spent five weeks. This is when I thought I would never touch a bicycle again. I didn’t want to take any unnecessary risks and end up back at Craig Hospital. It’s a great rehab center, but I really hated being there. But this feeling towards bikes didn’t last long. About three weeks after discharge, Timmy Duggan, the 2012 National Champion and Olympian who also suffered a severe TBI in 2009, asked me to go for a ride. That sounded like fun, so how could I say no? We ended up riding for about an hour, talking about brain stuff. And then we ended our ride at the ice cream parlour. Since then, I haven’t looked back. I love riding my bike. I was really depressed for those 12 weeks when I wasn’t riding my bike. Since my crash in 2016, however, I haven’t really made “returning to the UCI ranks” much of a goal. Racing and riding have been more for fun and mental clarity and a few extra bucks on the side as I pursue my Master’s degree. I decided to race again when I was on a ride with my best friend Heather Fischer and another Colorado pro, Amy Charity. We rode 120 miles from Boulder to Fort Collins and back. I was riding super strong and Heather noticed. She said, “If you don’t do Collegiate Nationals, you’re an idiot. You can’t let this fitness go to waste.” And that’s all she needed to say. It was three weeks until Nats and I had to qualify by participating in two mass start races. I did the criterium and road race at the Front Range Cycling Classic and won both. I went to Collegiate Nationals in Grand Junction and got third in the road race, fourth in the time trial, fifth in the criterium and third overall. This felt good given the fact that I decided to try racing again three weeks prior. Then, I did the Colorado state criterium championships because first place was $500 and carbon wheels. With this in mind, I was able to take a flyer with two to go and win the race. Then, I went to the Crusher. 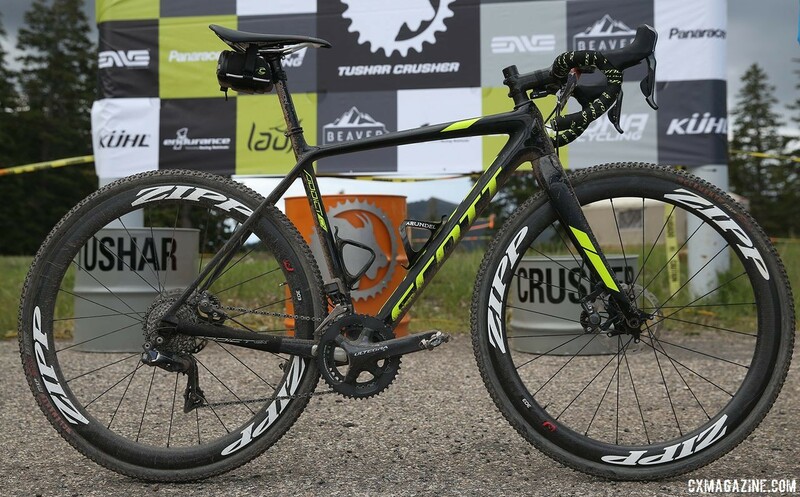 CXM: I imagine being able to race and win events like the Crusher is a big deal for you? LDC: I think that people should be faced with losing everything more often. In 2016, I was faced with losing everything. I had a 50-50 chance of living and if the spine fracture had been another millimeter deeper, I could’ve been paralyzed from the waist down. In 2016, it felt like I had lost everything. I couldn’t race anymore, I wasn’t in school yet, I wasn’t working and I was really depressed. Emotionally, that’s the lowest I’ve ever been. I think these events really put things in perspective. Long-term, it’s great. Short term, it’s the worst thing in the world and you want to die. This is why in an interview at the finish line at Crusher I said, “I no longer have pain receptors.” Somebody asked if this means I’m taking drugs. No, it just means that I have a different way of conceptualizing physical pain. When compared to the emotional pain of almost losing everything, physical pain doesn’t have the same effect. I would say that the emotional pain I experienced for the two years following my crash was significantly worse than the five hours of crushing myself at the Crusher. I actually like crushing myself. Now it’s just a matter of physical output. Winning this race wasn’t just about winning a bike race. It was about proving to myself, friends and family that I’m finally recovered, at least physically. Every day, I feel like I’m getting closer and closer to pre-crash Lauren, but an updated version. I’m actually writing a book right now, the working title is “The Comeback Kid.” It’s about my crash, the hospital, the rehab center, discharge, therapy, a touch of suicide ideation, depression and about coming back from a severe injury. I have a lot to say about the crash and how it changed my life forever. CXM: Did you have any expectations for the race? Did it play out how you thought it would? I went into the race feeling confident. I knew a lot of the girls were coming from sea level and weren’t climbers, so I had that going for me. The race played out almost exactly as I thought it would. I was caught by Karen Jarchow, who took second, towards the top of the first climb (I think she weighs like 80 pounds!) and I wasn’t expecting that. She had about 20 seconds on me before I caught her on the descent. After that, it was just go as hard as I can. This is where gravel racing is so different from road racing—no mind games, no strategy, just go as hard as you can go. The QOM was also a big surprise! My first ever. CXM: What did you think of the course? LDC: I loved the course! First, I need to say that this was the hardest race I’ve ever done. I don’t remember ever suffering this hard on the bike. I would attribute this to the course. First, it was at altitude and given the fact that I’ve been living in Colorado for 20+ years, this was super rad. I’ve never been called a climber, but maybe now I can be a “high altitude climber”—the 10,000 feet of vertical at altitude was great for me. I liked the first two-hour gravel climb. It definitely provides a lot of the character points that make Crusher one of the best races. The descent down Col de Crush was a little bumpy, but not unsafe. The “sarlac pit” desert section is where I made my move, and it actually reminded me of racing the cobbles in Belgium. It had about a three-percent grade and there was really no benefit to drafting. I think this section suited my larger mass compared to Karen. It helped a lot to carry a time advantage over Karen heading on to the Col ‘d Crush. The big surprise was after the QOM there was still 10 miles of climbing to the finish! All gravel. I just put my head down, grit my teeth and thought about how much it would mean to me (and my teammates, friends and family) if I could finish first given my injuries two and a half years earlier. The final mile is brutal. The 12-percent grade really makes you question why you love suffering so much. 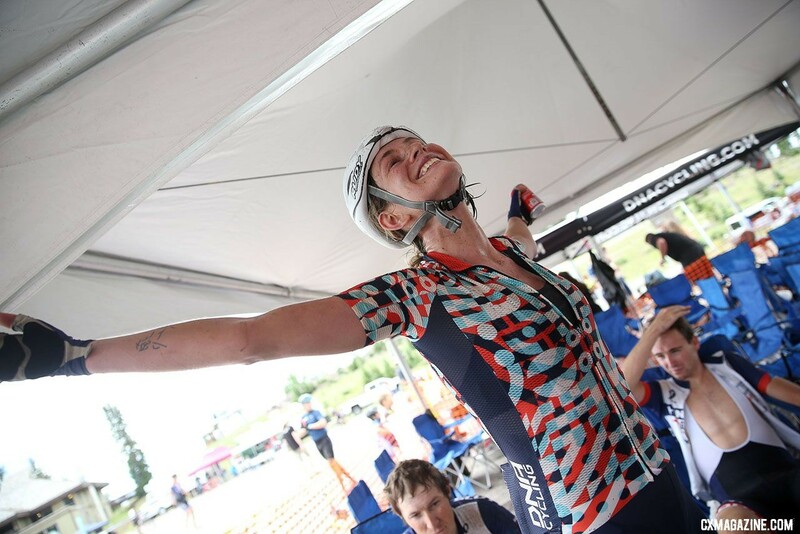 I knew I was about to win the race, but mostly I was happy that I could soon stop pedaling my bike—the last mile was brutal—but I was so so so happy. I crossed the finish line, but with not enough energy to post up. As if the race isn’t epic enough, the finish line is uphill. I literally fell off my bike and Cathy Fegan-Kim caught me. But it was the best feeling literally ever. I’m looking forward to racing Crusher again next year. CXM: What bike did you ride? What tires did you run? LDC: I only have a road bike and an “endurance road bike” so I borrowed Alex Kim’s cyclocross bike for this event. It’s a Scott Addict CX10 with Di2 and disc brakes. I ran Clement MXP tubeless tubulars. CXM: Any other special modifications you made to the bike? LDC: Alex set up the bike with 46/34t chain rings and an 11-32t cassette. I put on my own saddle and road pedals. Otherwise, it was pretty much stock. CXM: Do you have plans to do more gravel racing in the future? LDC: Absolutely! I’m hoping to launch some sort of “gravel campaign.” I’ve identified some races I want to do next year, and since I’m in grad school right now, I really need to take advantage of all this time I have to train when I’m not studying. CXM: You’re a student at CU-Denver? What are you studying? LDC: I’m currently pursuing a Master of Public Health (MPH) degree in Epidemiology at CU. This was my plan all along, and now I’ve finally gotten around to doing it. 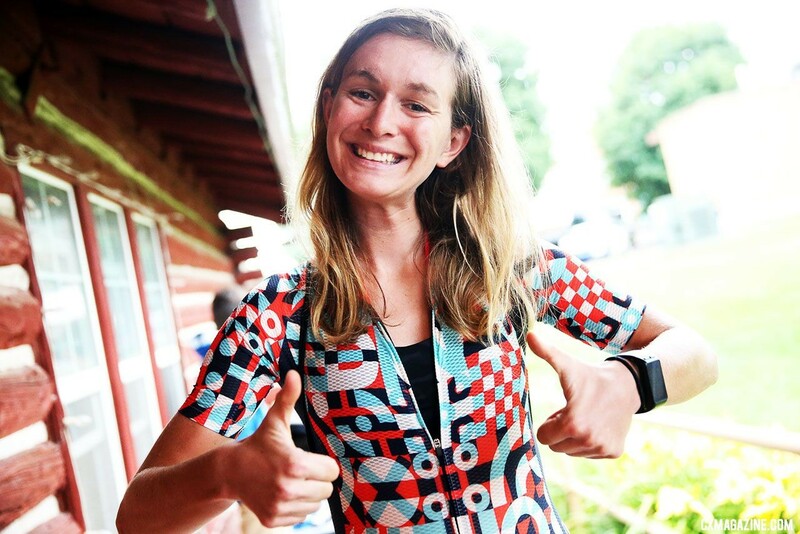 When I graduated in 2012 with a bachelor’s degree in anthropology, I decided that instead of pursuing my master’s degree, I would try becoming a pro bike racer. That worked out, until it didn’t. And now I’m picking up right where I left off in 2012. CXM: Thanks for your time. Looking forward to seeing you at more gravel events next year!